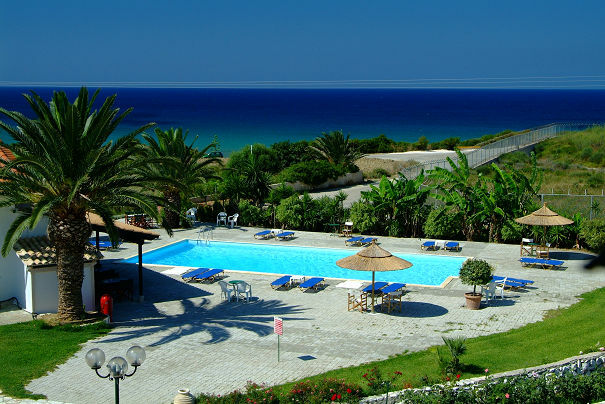 The Mediterranee Hotel is located on the southwest side of the island and specifically in the peaceful surroundings of the Lassi coastline just 2km from Argostoli, the capital city of the island. Set just above a small sandy beach, the hotel has in total 227 rooms that offers spectacular view to the bay of Lixouri. The crystal clear waters make the beach ideal for swimming but also exploring the seabed. A large swimming pool with section for children, a tennis court, a ping-pong table or nights with live Greek music are only some of the kinds of entertainment offered by the hotel. A short walk from the popular Ammes Beach in Svoronata, this property features a pool and poolside snack bar for its guests. It offers accommodation with free Wi-Fi and balcony or patio overlooking the Ionian Sea or the garden and mountains. Tastefully designed with bright colours, each unit at the Sandy Beach Villas and Apartments has a kitchenette with fridge, dining area and cooking hobs. Centrally located in a peaceful area of Argostoli, the stylish, eco-friendly Mouikis Hotel has rooms with balcony and free Wi-Fi. The sea is at 30 metres, while the shopping streets are a short walk away. Within 50 metres, guests can find a super market. The nearest beach is located 2 km away. Hotel Mirabel is located on the central square of Argostoli and offers beautiful views from its top-floor terrace. 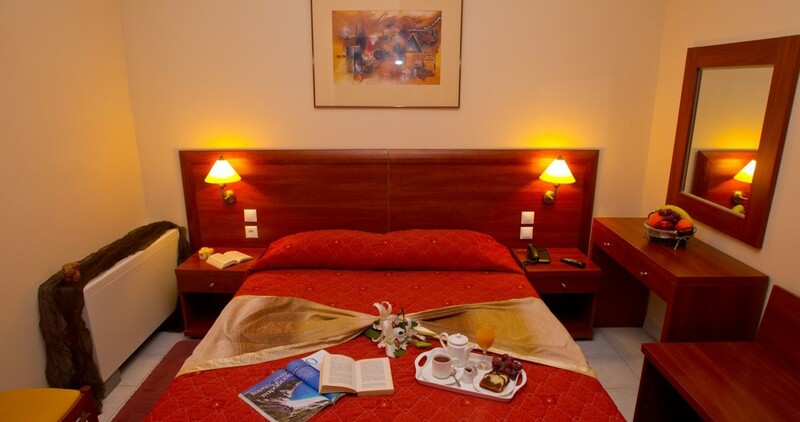 Accommodation at Mirabel Hotel is simple and comfortable. All the rooms come with balcony, air conditioning and satellite TV. Breakfast is served at the lobby mezzanine and at the bar you will find drinks and snacks throughout the day. All the attractions, shopping and entertainment in Argostoli, as well as the port, are within easy walking distance.